Trip gambles his heart and his art on a rotten plan: sketching out a “very graphic novel” and falling in love with the dork of his dreams. Bad Idea by Damon Suede, available from Dreamspinner Press. Against their better judgment, they fall victim to chemistry, and what starts as infatuation quickly grows tender and terrifying. With Silas’s help, Trip gambles his heart and his art on a rotten plan: sketching out Scratch, a “very graphic novel” that will either make his name or wreck his career. But even a smash hit can’t save their world if Trip retreats into his mild-mannered rut, leaving Silas to grapple with betrayal and emotions he can’t escape. Tom is a vampire with powerful roots; Marik is an Alpha werewolf. Their attraction may not be enough to overcome centuries of prejudice. Bloody Love Spats by Valentina Heart, available from Dreamspinner Press. Tomislav Vugrin doesn’t think himself much of a vampire—not that others are tripping over themselves to dispute it. Despite descending from one of the most powerful vampire lines and having a coven queen for a sister, he’s far from a stuck-up royal and even farther from a force to be reckoned with. That’s when fate puts her spiteful fingers to use and places him right in the path of Stone Marik, the new Alpha werewolf of the East Pack. Add a bit of the teasing scent of a mate, and the attraction is stronger than any lack of information about bonding that might stand in their way. But changing allegiance might be more than Tomi can handle, even if he has the best of intentions. Centuries of prejudice divide their two species, secrets and lack of time work against them, and soon even their desperate need for each other might not be enough to keep them alive. Inventors, pilots, tinkers, and soldiers; magical metals to replace an aging heart or a ruined limb; steam-powered fantasy worlds of clockwork nightingales, automatons, dirigibles, and men. The stories in this anthology visit diverse times in the history of modern man, and the men who populate these tales face war and cruelty, masters and autocrats, illness and poverty and greed. Yet the heat of romance outmatches even the steam engines, and time and again, the gears of love rule the day. Sael’s lover, Koreh, died while the two rescued the Taaweh queen. Years later Sael must fight to save Dasak. If only Koreh were at his side. 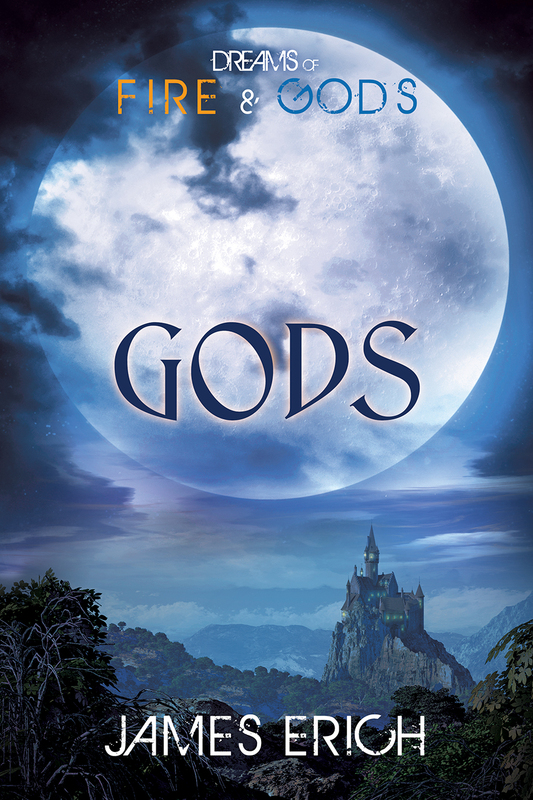 Gods (Dreams of Fire and Gods: Book 3) by James Erich, a Harmony Ink Press Young Adult title available from Dreamspinner Press. Long ago, two factions of gods, the Stronni and the Taaweh, nearly destroyed the Kingdom of Dasak in a great war. The Taaweh vanished when their queen was imprisoned, and the Stronni declared victory. A thousand years later, a young nobleman named Sael and his lover Koreh have rescued the Taaweh queen. In the process Koreh was killed, and now an injured Sael struggles to heal from both injuries and grief. Unknown to him, Koreh embarks on a journey across the land of the dead, trying to make his way back to Sael—and to life. But time moves differently in the underworld, and decades pass while Koreh travels. Roger is smitten. Stanley is shy and turns to neighbors for love lessons. Roger was hurt before, but willing to risk his heart for Stanley. Welcome to the Belladonna Arms, a rundown little apartment building perched atop a hill in downtown San Diego, home to the city’s lost and lovelorn. Shy archaeology student Stanley Sternbaum has just moved in and fills his time quietly observing his eccentric neighbors, avoiding his hellion mother, and trying his best to go unnoticed… which proves to be a problem when it comes to fellow tenant Roger Jane. Smitten, the hunky nurse with beautiful green eyes does everything in his power to woo Stanley, but Stanley has always lived a quiet life, too withdrawn from the world to take a chance on love. Especially with someone as beautiful as Roger Jane. While Roger tries to batter down Stanley’s defenses, Stanley turns to his new neighbors to learn about love: Ramon, who’s not afraid to give his heart to the wrong man; Sylvia, the trans who just wants to be a woman, and the secret admirer who loves her just the way she is; Arthur, the aging drag queen who loves them all, expecting nothing in return—and Roger, who has been hurt once before but is still willing to risk his heart on Stanley, if Stanley will only look past his own insecurities and let him in. Returning from WWI, Frank has no memory and Jersey has one leg. They might find a future if they can make peace with the past. It’s 1919, and Frank Huddleston has survived the battlefields of the Great War. A serious head injury has left him with amnesia so profound he must re-learn his name every morning from a note posted on the privy door. Gerald “Jersey” Rohn, joined the Army because he wanted to feel like a man, but he returned from the trenches minus a leg and with no goal for his life. He’s plagued by the nightmare of his best friend’s death and has nervous fits, but refuses to associate those things with battle fatigue. He can’t work his father’s farm, so he takes a job supervising Frank, who is working his grandparents’ farm despite his head injury. Pete’s love soothes Ash’s savage past. 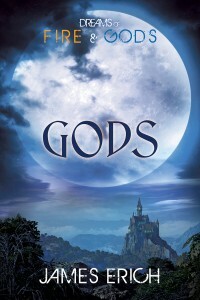 But fate is cruel—nightmares crash with the present and Pete must fight to save the love of his life. unfold, and when a devastating coincidence takes hold, Pete must fight with all he has to save the love of his life. Tonight’s the night. Ash is ready to leave his mark on Pete in ways he couldn’t imagine. It’s been six months since Ash shuffled into Pete’s life and turned his world upside down, and six months since they sat in an all-night diner plotting Ash’s theoretical solution for Pete’s faded, botched tattoo. Pete has just about given up hope of Ash ever fulfilling his promise when one day the end of a long shift finds Ash waiting for him. Ash is ready, and it seems the time has come for him to leave his mark on Pete in more ways than he ever imagined. Freddy’s a rich kid athlete, Kurt’s a hardworking openly gay scholarship student. But Kurt slips past Freddy’s defenses to be more. both the future he planned on and the future he didn’t know he wanted. L.A. photographer Ethan goes back in time and meets closeted Quinn. Ethan falls for him, and has to make a choice: go home or stay? Photography genius Ethan Mars is out and living the fast life in Los Angeles until a mysterious mist in Topanga Canyon sends him back in time. There he meets Quinn Parker, a farmer who has hidden his homosexuality from everyone, even Margaret, his fiancée. Falling in love is the last thing Ethan expects, and the last thing Quinn can allow—in 1863, being gay can get him killed. When Ethan is unexpectedly offered a way home, he faces an impossible decision: go back… or stay? Out, proud, and nerdy Tommy flirts with Tavio using Trekkie lingo. Tommy also is a father—is Tavio ready to romance a family man? Former soldier Octavio “Tavio” Reyes works as a barista, a favorite with the customers—especially Tommy O’Shaughnessy. An avowed geek, Tommy comes in daily to flirt, usually under the guise of Trekkie talk. Tavio hesitates; now that he’s out of the army, he’s not sure how out he should be, or whether to take his chances on a geek devoted to sci-fi and comic books. But when Tommy compares him to an unemotional Vulcan, Tavio finally considers dating an out-and-proud nerd. Then Tommy surprises him again and introduces him to his daughter, whom Tommy loves even more than Star Trek or Tavio. Now Tavio has a whole new decision to make: Is he ready to romance a family man?